Robert Fumulani was born in Zomba, Malawi, 1948 and died in 1998. He was an award-winning popular musician, nightclub owner, and businessman in Malawi. He fronted the Likhubula River Dance Band, known for its Afroma ("Afro-Malawi") funk rock reggae fusion. Fumulani has been described as "one of Malawi's most popular bandleaders of the late 1980s and 1990s", and as "the blessed father of our national music". In the 1980s he was a three-time winner of MBC's "Entertainer of the Year" award. 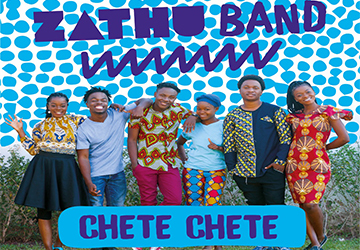 His earnings from music went towards a number of business enterprises, including the Chileka nightclub, Likhubula Entertainment Centre, and a cargo services company at Chileka airport. His musical legacy is kept alive by three of his seven sons; Anjiru, Musamude, and Chizondi- who are the core of the Black Missionaries, one of Malawi’s most popular groups.